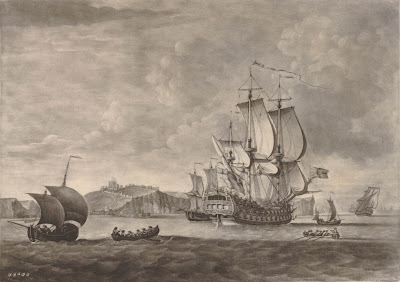 Dover, Richard Houston, 1747-1775, British Museum. Richard Hinton's professional career began around 1747, thus the narrowed date that I have ascribed to this piece. 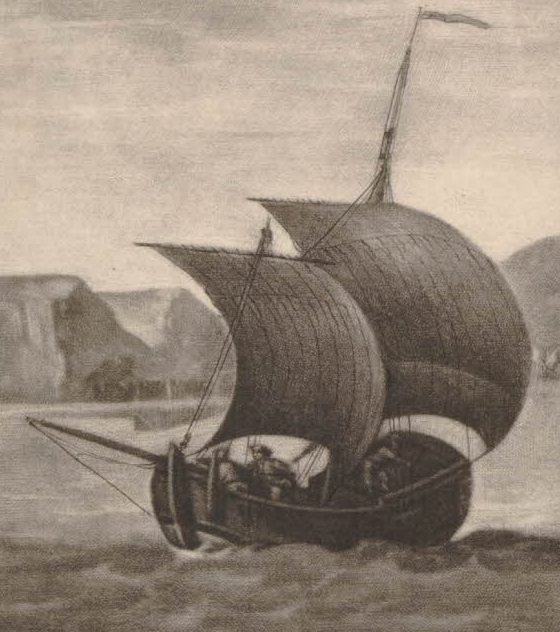 In this, he portrays a ship under sail by the white cliffs of Dover. Boats scurry to and fro all about the warship, and are populated by sailors and oarsmen. These men are uniformly dressed in round hats and barge caps, along with their close fitting jackets. 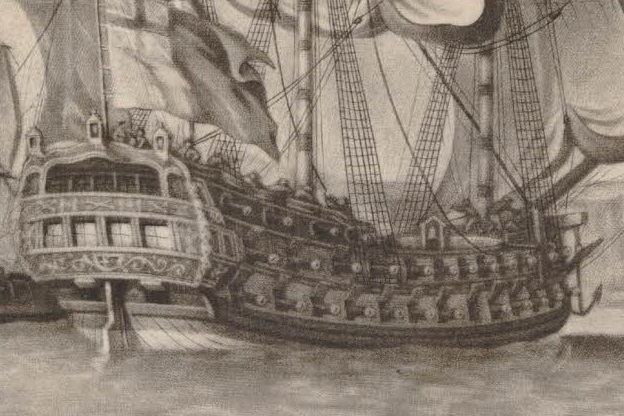 While it is difficult to make out the figures on the ship of the line, I can make out a pair on the foc'slehead wearing trousers. 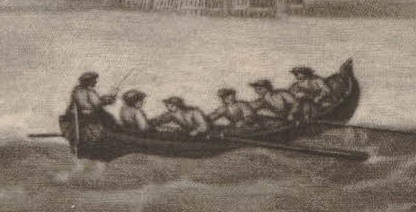 On this boat they wear barge caps of the jockey style, while the coxswain gestures with some sort of stick or short boathook. 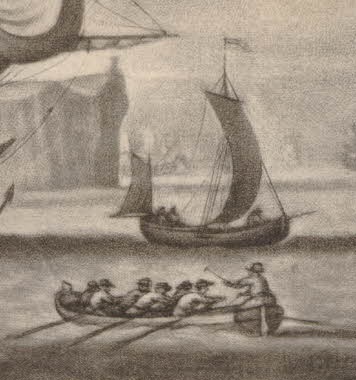 Also dressed in trousers and jackets, the fellows manning this sloop appear to be wearing cocked hats.